Touch ID will get even more useful on macOS. Safari AutoFill in macOS Mojave is about to get even more convenient, thanks to Touch ID support. 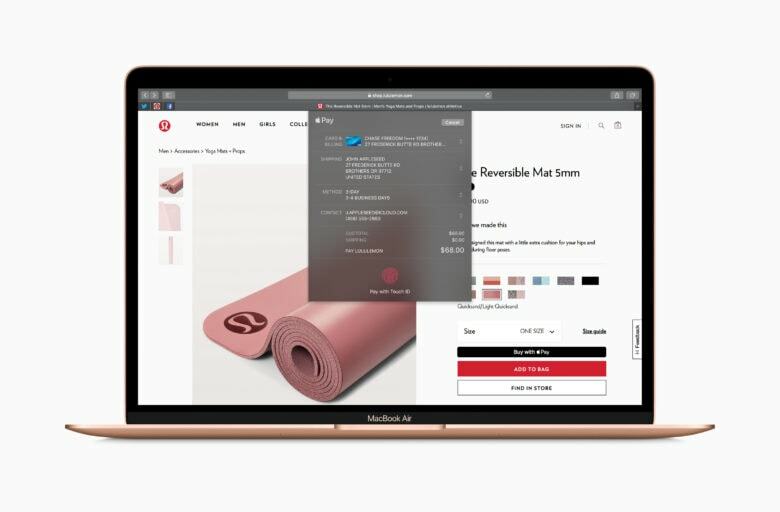 The first macOS 10.14.4 beta reveals you’ll be able to log into websites simply by scanning your fingerprint. This feature has long been available on iOS, but it will be a first for Mac. It’s quite surprising that Touch ID support is still missing from Safari AutoFill on Mac. As things stand, Touch ID can only be used to unlock a Mac, to authorize Apple Pay transactions, and to confirm iTunes and App Store purchases. But that should soon change. Apple’s first macOS 10.14.4 beta, which rolled out last week, allows users to confirm AutoFill logins by placing their finger on the Touch ID scanner. The feature can be enabled or disabled within the Touch ID menu in System Preferences. AutoFill can be used to automatically fill online forms, credit card information, and usernames and passwords. Touch ID is currently available only on the new MacBook Air and the MacBook Pro. The first macOS 10.14.4 beta also brings Apple News to Canada for the first time.